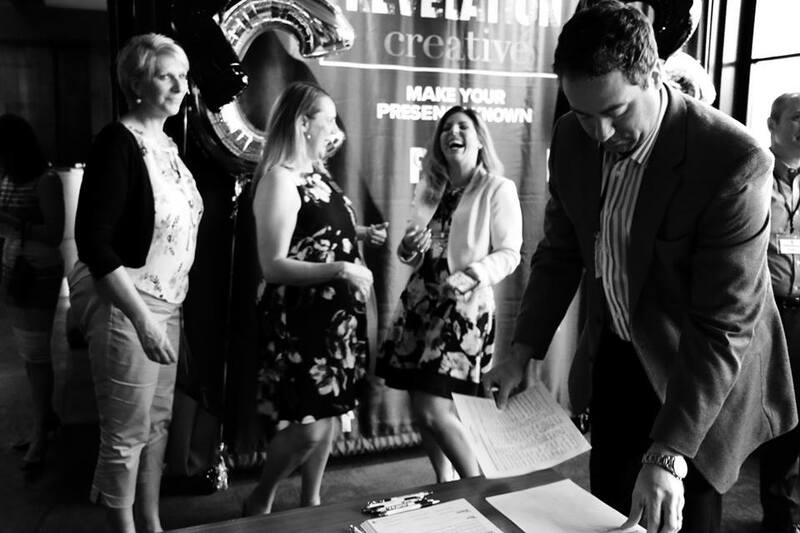 If there’s one thing the Revelation Creative team has learned during each member’s various experiences in the corporate world, it’s that networking is vital to growing business. 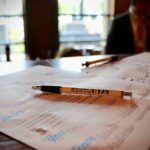 We’re not just talking about handing out business cards in passing during meetings, workshops, or conventions. Networking, at its core, is about relationship building. What’s the best way to go about networking when it might not come easiest to you? One critical piece of advice is to live in the moment! Some of the best networking is done when you’re not feeling pressured to return to the office to answer emails, or tackle your always-growing to-do list. 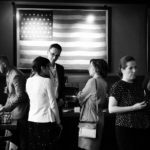 That’s why for our one-year anniversary, we decided to celebrate in style with a happy hour networking event. Before we get into the details of our inaugural networking celebration and why it was so successful, we wanted to take a moment to pat ourselves on the back. After the banner year we had, our team earned it! 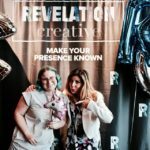 Revelation Creative has officially been in business since June 2017. Not only do we have our friends, family, colleagues, and clients (both present and future) to thank, but it’s also important to point out the team you have supporting you. And the RC team is the best around! Now, let’s talk about the RC Birthday Networking Happy Hour event that took place this month at Redstone Grill in Bridgewater, New Jersey. In preparation, our team created a fun marketing-related trivia game to help jumpstart the networking. 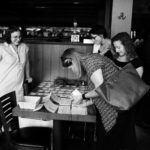 This ice-breaker involved selecting your own team with at least 3 event attendees (ones you haven’t met before) to conquer our list of brainteasers. Having an activity for your attendees to participate in also enriches the experience. Even though most of the event attendees didn’t have a background in marketing, they still partnered up to try to win the game. They might’ve been more motivated by the gift certificate grand prize than the actual questions, but we’ll take it either way. 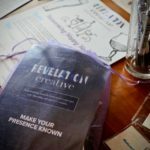 Luckily, whether they won the grand prize or not, each attendee got to go home with some brand new Revelation Creative swag and lots of new connections. So in the end, everyone was a winner, right? To add to the fun, we brought out our step-and-repeat backdrop to take pictures with photo booth props. Our event photographer snapped posed and candid shots to capture all the laughs and good conversations so that the moments could live on well past the close of the event. Of course, there was a spread of food to help battle the evening hangriness. The happy hour was slated to run from 4:30pm until 6:30pm, but when we checked our watches, people were still networking well after we’d broken down our decorations at 8:30pm. 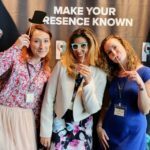 While that’s not exactly a testament to the event itself, it does illustrate how people with great energy do great networking. Even if you’re on the shy side, jump into a conversation. It’ll make the time spent at the event go quickly and you’ll be surprised who you can meet and what you can learn. Based on the success of this first foray into an RC-branded networking event, we’re now committing to continuing this tradition once every quarter. However, saying something and doing something are two very different things. We’ve taken the time to acknowledge our achievements, but our focus is always on the future. So, why did we deem this networking happy hour a win? The most obvious reasons are that we got to get our name out there and associate it with a fun, memorable experience for our clients and prospects. We got to meet with new people and to re-engage with some of our favorite existing contacts to further deepen our connections with those that we wish to do business. That should be the goal at the root of any experiential marketing event. But what really made it successful in our minds were the connections our attendees made. Lucky for us, those memories were photographed for us to share with those who attended, as well as to inspire those who couldn’t make it this time around to mark their calendars for the next event. We’ll be drawing from this stockpile of smiling faces to supplement our social media calendar until the next soiree, so be sure to check out our channels to see all of the fun, fabulous moments. When is the next event? Keep your eyes peeled for an announcement this fall. If you want to make sure you land on the invite list, you can message us at info@revelationcreative.com to schedule a consultation today!